Five portraits included in prestigious London’s National Portrait Gallery show. 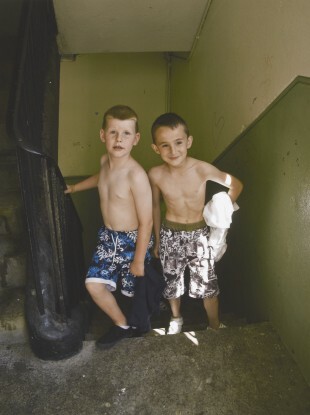 FIVE IRISH PHOTOGRAPHERS have been selected to have their work included in a prestigious exhibit in London’s National Portrait Gallery. Thirty-seven people from Ireland entered portraits to the competition and five of those got in. We got around 6,000 submissions this year and the average chance of getting selected is about one in 100. It would indicate to me the strength of the photography coming from Irish photographers right now that five were selected. The judging process is anonymous and the competition open, which means that each portrait is selected entirely on the merits of the work itself. The five Irish photographers who had their work chosen for display were Jeanette Lowe, a Dubliner and fine art photographer; Linda Brownlee, a London-based Irish photographer whose work has been featured in Vogue, Dazed and Confused, Nylon and The Guardian; Kenneth O’Halloran, a former Irish Independent staff photographer from Clare; Michael Donald, a Belfast-born photographer; and Enda Bowe, a Carlow photographer who now lives in London. Feast your eyes on their portraits, all of ‘ordinary’ people with the exception of Charlie Watts of The Rolling Stones, in an extraordinarily symmetrical pose. Email “Slideshow: Irish photographers are picture perfect winners”. Feedback on “Slideshow: Irish photographers are picture perfect winners”.